Crystal Forest Slots at Moon Games | Spin to win! Step inside the dark and mystical Crystal Forest. Don't be scared, there are good things waiting for you inside. Just watch out for the poisonous frogs along the way. Spin to win on all your mobile devices. Step into the Crystal Forest for a truly enchanting time online. It's filled with poisonous frogs, spell books, candles and crystals. 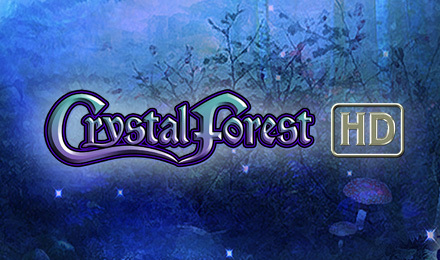 Crystal Forest Slots has an overall dark theme, with loads of mystical imagery. It has 5 reels and 25 paylines, Wilds and bonuses. It may seem a bit daunting, but we promise you'll be alright. In fact, you'll be more than alright once you get those FREE spins and multiplied wins! You can also play on your mobile devices, so you can journey into the Crystal Forest anytime, anywhere!